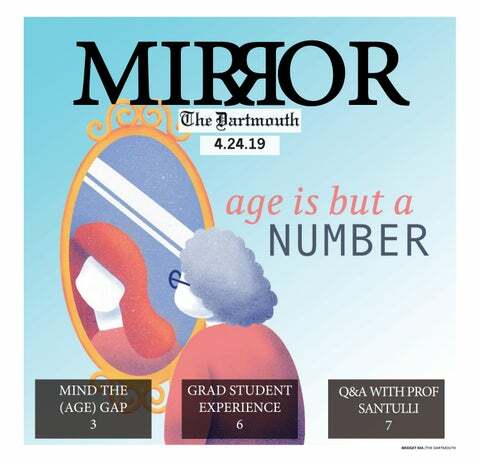 But Dartmouth, we really must say: What. Is. Up. What is up with that KAF line? Who has time to stand in a line of such length? It is a wonder that any of us get our coffee at all. Yes, there’s Novack, but that’s just Novack. People only like Novack to be contrary. And then there’s the Hop line, too. How are we supposed to keep up with the term’s fast pace and long stride, if we are caught standing in line all day? How are we supposed to get our daily chicken sandwich? Are we supposed to get a daily chicken sandwich? Apples are red; blueberries are blue … Old misers are stingy — and so, sometimes, are you! Five dollars and fifty cents for a cup of fruit? One banana per person from Foco? Really, Dartmouth, you conspire to break my heart. We cannot understand what you do with all of those research papers you have us write. We hope at least that you save them, that you put them aside — perhaps in a nice little box, perhaps in an album. We hope that you write, “Our First Due Date,” on the back. The standards to which you hold us are most impressive – and most excessive. The myriad opportunities that you present us with, also, are so. You cannot possibly expect us to jump on them all. How do we know which to choose and which to pass? Can you not provide more guidance? Do you not think that perhaps you expect too much of us? Why can we never be enough for you? Who are these people whom you select? You are such a small school, Dartmouth. You press everyone together so that we know each other’s faces … and each other’s laptop stickers and each other’s hats and each other’s hangouts and each other’s friends and each other’s habits and each other’s rumors … Sometimes there’s no escape. We think, frankly, Dartmouth that we may need some new date ideas. We do the same things, night after night. Put on the shoes, put on the jacket, go to the party, stand outside of the party, get into the party, play the games, see the people, give the hugs, talk the talks, walk the walks, get home, take off the jacket, forget to take off the shoes. Something needs to be spiced up. We feel that we may be in a rut. We remember — you remember too, do you not? ­­— all the good times we have shared. We remember those days of picnics and bare feet on the warm grass and smiles. But now things, honestly, have gotten a bit dark. If you would only agree to try something new once in a while, Dartmouth! Perhaps the sun could shine again! Though, now we realize, this is unlikely. What is this winter that you set upon us, Dartmouth? You really do block the sun from shining, you have made the trees bare and the sky desolate; you make us wake to yet more flurries flailing across the grey windowpane. We trudge against the winds of your icy breath; we stagger and sink to our knees in your cold. We slip brutally on the ice. We land on your hard, unforgiving granite. And yet we just cannot resist the beauty: that heavy silence of a snow blanketing your campus in the night. The stunning ice formations hanging from the rafters. The untouched perfection of a snowy mountaintop. You will freeze our very hearts. Apples are red; blueberries are blue. One tends to be what one is — and such are you. We hate how little time we have left together.